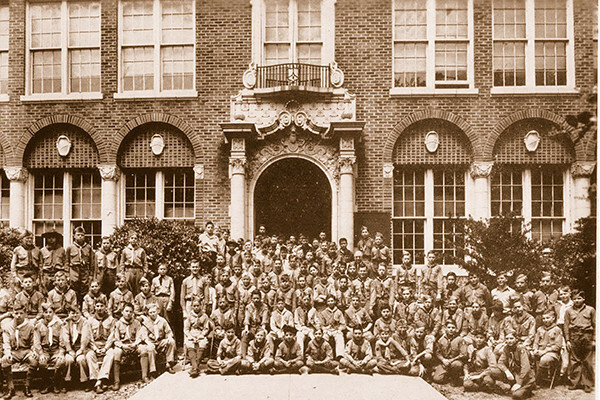 I am often asked, “Where did you get your inspiration for the John Gorrie project?” A number of years ago, during our strolls around our neighborhood, my husband Wayne and I would walk past the former John Gorrie Junior High School. The original building, which was built in 1923 by noted architects Roy A. Benjamin and Mellen C. Greeley, and a second addition built in 1927, had been listed in the National Register of Historic Places in 1987. The school had closed its doors in 1997 and had fallen into disrepair. I remember saying, “Why doesn’t someone save this wonderful old building?” At the time, we had no idea it would fall to us to give it life once again. Shortly after that, the school board decided to put the building up for auction. It really seemed like fate may have intervened, so we decided to offer a bid. We were not the highest bidder during the first round. But when that person backed out and the bid fell to us, I felt that we were truly destined to give the John Gorrie a new life and a new purpose.